At Kid Power Therapy Services we recognize that each child comes to us with unique strengths and challenges. These special needs can be met with a variety of traditional and alternative therapy programs used to facilitate growth and skill acquisition. Kid Power therapists combine techniques to create an eclectic and very individualized approach for each child. Occupational and speech/language therapy services are offered both individually or as a co-treatment. We offer both occupational therapy and speech/language evaluations by qualified therapists with experience with the pediatric population. Our therapists have experience looking at gross motor skills, fine motor skills, sensory processing, speech and language development and visual processing. An occupational therapist and a speech/language pathologist work together with the child for an individual session. We have found that many children make faster progress with this more intense approach. While the occupational therapist assists the child with sensory processing and level of arousal, the speech/language pathologist can simultaneously facilitate speech and language development. An occupational therapist and/or a speech/language pathologist meet with the family for an extended sessions to informally assess the child’s strengths and needs for development of a home program. The child receives therapy for four to five consecutive days for an hour and a half to two hours per day. This enables the occupational therapist and/or speech/language therapist to address specific areas of need in a more intense manner. 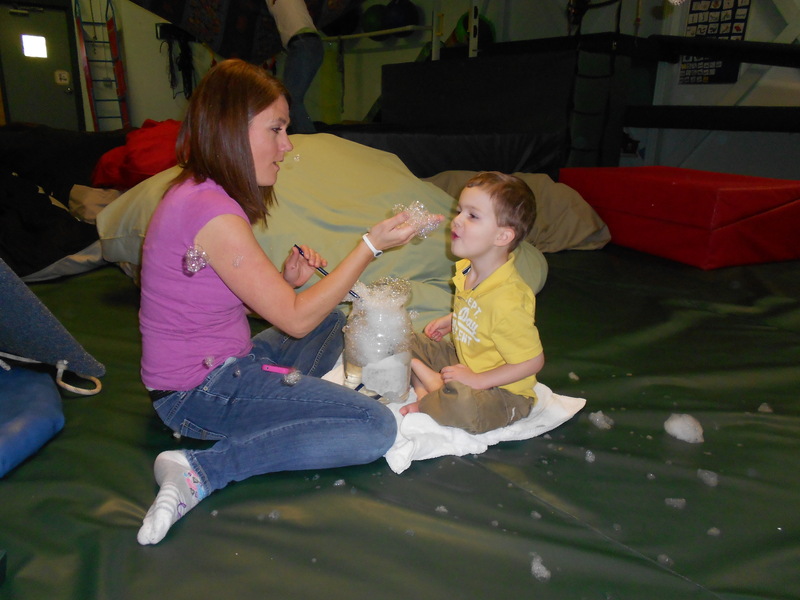 The group typically consists of 6 to 8 children with diverse communication, sensory, gross motor, and fine motor needs. An occupational therapist and a speech/language therapist organize activities to enable each child to maximize his/her potential and make progress toward goals. Sensory integration is one’s ability to interpret incoming sensory input and use that information for function. Our therapists have extensive training treating children with sensory integration dysfunction, sensory defensiveness, and motor planning difficulties. Various treatment modalities are used including the Wilbarger Pressure Touch Protocol, the Alert program, and development of a sensory diet. Oral motor and respiration play an important role in speech development and self-regulation. These activities are incorporated within therapy sessions as well as part of a home program. A very specific model of treatment using the auditory system to promote integration and organization of attention, organization, and movement. The program utilizes electronically altered compact discs in protocols specifically tailored by sensory integrative professionals to match client need. An advanced listening technique that can be utilized as part of a treatment session or incorporated into a home program. Interactive Metronome is an advanced brain based treatment program designed to promote and enhance brain performance and recovery. Craniosacral Therapy is a light touch technique that therapists may use during sessions to detect and release restrictions within the body.